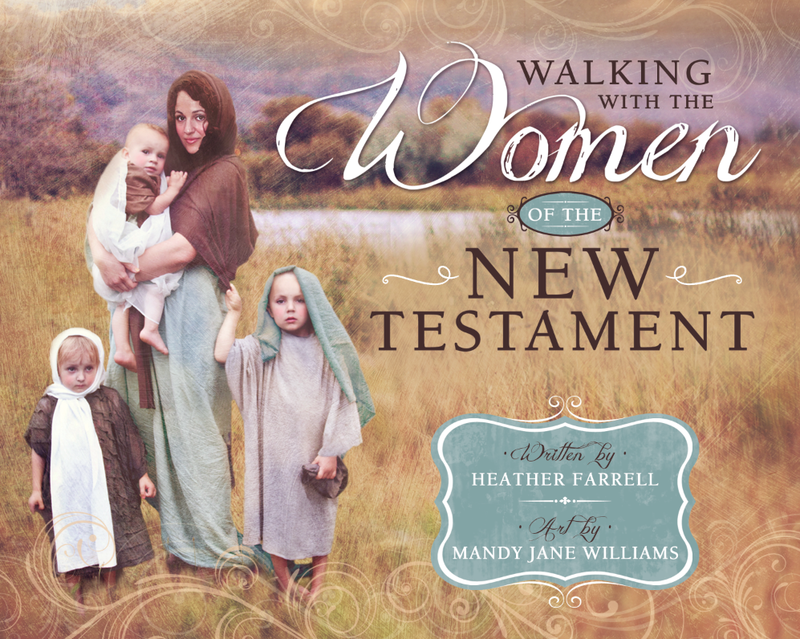 Women in the Scriptures: A Glimpse of Heaven: Book Review and Giveaway! 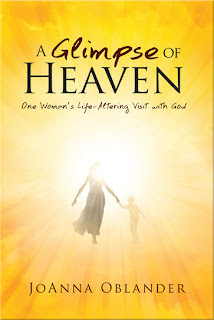 A Glimpse of Heaven: Book Review and Giveaway! Several months ago I was contacted by one of my readers and asked if I'd be interested in reading and reviewing her mother's new book. I have never been one to turn down a free book and so I happily said I'd read it. A few days later I got the book "A Glimpse of Heaven: One Woman's Life-Altering Visit with God" by Joanna Oblander in the mail. I will admit that when I saw the title I was a bit skeptical. Near death experience books have always seemed a bit kooky to me, but I figured I'd give it a try. It arrived the day before we left on our family vacation to Oregon and so I stuck it in my purse intending to read it on the trip. My in-laws were kind enough to sit by and entertain my kiddos on the airplane and so I found myself with two hours of uninterrupted reading time, in which I --surprisingly-- devoured this book. About an hour in to the trip Jon gave up trying to talk to me all together because I wasn't listening to a thing he said. The book isn't long, only a 110 pages, but as I read Joanna's beautiful message I felt my heart changing. Her vision continued on and she had some other really beautiful experiences, but I will make you read the book to get those! When she woke up from her vision her depression was not gone but she had the strength to keep going. Eventually Joanna shares how she was able to find the cause of her headaches and find adequate treatment for her depression. In addition to the vision of the pre-mortal world Joanna also shares some of the powerful spiritual experiences she has had throughout her life including a vision of her children before they were born and several incredible revelations about a little boy that the Lord told her she needed to find and adopt. Her story is absolutely incredible and is such a testament to power of prayer and personal revelation. As I read about her experiences I felt the spirit so strongly. I've had a few experiences in my life where I have got the faintest glimpse of who I was-- who I am-- and what I am capable of. Those experiences have changed everything and I yearn for more. Reading about Joanna's vision was like drinking a cold glass of water, filling my body and spirit with nourishment and joy. When, at the end of the plane ride, I stuck the book back in my purse I felt a new determination to improve my prayers, follow the guideance I get from the spirit, and to love people more freely. I looked around the plane and felt so much love for everyone-- I am pretty sure I had an idiotic smile on my face-- but Joanna's book had reminded me just how much God loves all of us, no matter what our flaws. Heather: I was very moved by your account of the vision you and your husband had of your unborn children early in your marriage. In it you said you saw four spirits and so you knew that when your fourth was born that she was going to be your last baby. I have always wondered if the Lord has an "assigned" number of children that He will send to us if we are willing to accept them and so I am wondering if after the fourth you felt prompted to take measures to prevent more children coming or if you didn't take any measures to prevent. Did the Lord just not send you any more children? Joanna: When my last was born (girl) we did not do anything to prevent another baby - another one just didn't come (which did not surprise me at all - given that due to female issues I should not have been able to have any children). I still consider each of my first four children a miracle in their own right even though the guy upstairs is clearly in charge when it comes to the size of my family! 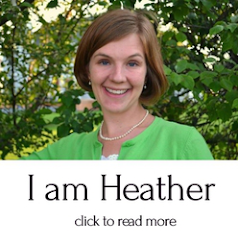 Heather: I was impressed with what an incredible prayer you are and your ability to receive personal revelation. My personal prayers are really suffering lately and I so I would love to hear more about how you made your prayers more powerful and personal-- especially when you were young and had little children. It seems like I can never find a place or a time to be alone enough to say good prayers! I would love to hear your thoughts. Joanna: I don't know that I really learned to be an "incredible prayer" until certain situations called for it. My youngest of the first four was approximately seven years old when I was told to find Andrew (her adopted son). The shooting a Margaret Leary and my search for Andrew really taught me a lot about prayer. As you might have guessed - prayer is all important to me now. It was important when I was a young mom too but I understand its power now in a way that I didn't when my children were young. Andrew is now 17 and Dina 22 and my oldest daughter (child) Melissa is 33 so I am definitely not a young mother any longer! I would have to say that prayer is a very personal thing. I often use my car as I commute with the radio off. Finding quiet time with my thoughts - like washing dishes is important because listening for answers to prayers is so important. 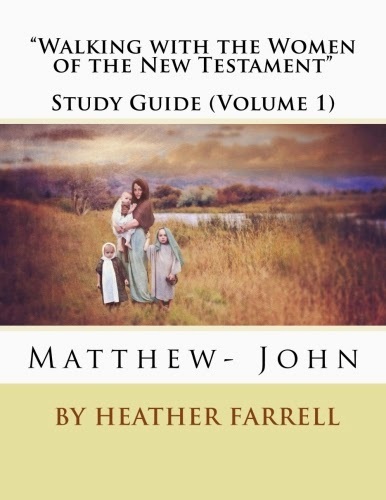 Although I know that it is a struggle with little ones - meditation time and diligent study of the scriptures, the Ensign and other church publications have been really important for me. Just always remember that Heavenly Father is completely aware of you and knows the struggles you have with little ones. I ask a lot of Heavenly Father now - in ways that are different than how I used to ask. I really try to allow the spirit to guide my prayers so that I am asking for the very things that Heavenly Father knows I need and that I am asking for the very things He wants to give me. It is a learned process but I can tell you that after a time, practice with allowing the spirit to guide your prayers can be powerful and educational at the same time. 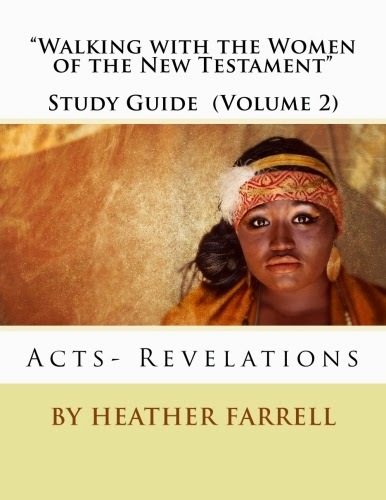 Heather: How or when did you feel prompted to write this book. Was it your idea or someone elses? I would love to hear more about how this book came to be. Joanna: I was commanded by Heavenly Father to write my book..and that heavenly command was a real test for me as I really did not want to write this book as I knew that it would require that I reveal a lot of personal things. I also thought that there was a real chance that scorners would step forward with less than kind words but so far, that has not been my experience. I have been blessed thus far in that the spirit has communicated to members and non members alike the truth of those things that I share in my book. It has actually been a sweet experience (not what I anticipated at all) in that many have come forward and let me know of how my book has been able to help them and increase their understanding. Joanna's book is a real treasure and I promise that reading it will help you get a glimpse of your divine nature and remind you about who you really are. Her testimony and example are so powerful. This book is one that I will read again (which is why I am glad I have my very own copy) and share with others. If you want a nice-- easy-- fill- your- soul- summer read this is the perfect book. And.... Joanna has offered to give away ONE copy of her book to one of my lucky readers! If you would like to win a copy please leave me a comment letting me know which one of the following you have done (you do NOT have to leave a separate comment for each). You can do all of them or just one or two, each one will give you an extra chance at winning. 1. Visit Joanna's website "A Glimpse of Heaven" and "like" her page on Facebook (the button is in the right sidebar). 2. Follow Joanna on Facebook, Pinterest, Twitter, or subscribe to her blog feed (the buttons for those are also on the right sidebar). 4. Leave me a comment telling me a time when you have received a vision or when you have received and acted on personal revelation from the Lord. The giveaway will end on Tuesday June 26th at Midnight. Best wishes! I hope you win because this book is awesome. This seems like an amazing book. My visiting teacher and I were talking about personal revelation last evening. There is one "dream/vision that stands out to me of Heavenly Fathers love for me, even before I had a deep personal relationship with him. I was in the Navy and I had reported to a new duty station. When I checked in, unknown to me, all of my service records including my pay record were misplaced and no one payed attention. On the night before my 1st payday at this new station, I dreamed that I was going through my morning routine, washing my face, brushing my teeth, etc. I put on my uniform and I went to work.My dream was active, so I walked into an office to pick up my check. The clerk pulled out a box of checks and he looked for mine in alphabetical order. It was not there. The clerk told me to go to the payroll office because they had lost my records. In my dream I walked in to the office, the people were expecting me, and they said, Sorry, your records are lost, we don't know they are. So I was prompted in my dream to tell them exactly where it was. Someone had dropped it in an empty file drawer and left it. So when I woke up, I did everything in life as I did in my dream, the only difference was that the person with the box of checks was different. When I got to the payroll office, you can imagine the surprise of the staff there. If they could not have found my service record,it was a one of a kind, I would not have been paid for a while. Heavenly Father was really looking after me. I received revelation what to do when my husband was sick with cancer. The book sounds like a lovely read. Thanks for hosting a giveaway! Once, when I was taking a night class, I was riding my bike home and went towards a path that was a shortcut through a housing estate. I had a very strong impression to NOT go down the path, but shrugged it off as me being paranoid in the dark. As I got closer, it was practically a voice shouting NO inside my head. It thoroughly freaked me out and sent me cycling home along the most well-lit, busiest roads home that I could find. Later, I found out that the area I was warned against travelling through was a hot-spot for burgling and other criminal activity. I don't know what would have happened to me if I had ignored that warning, but I do know that it would not have been good. 3. 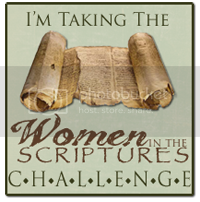 Share this post (either on Facebook, Twitter, Pinterest, or on your own blog. I did all of the above except for posting on my own blog since it needs some work first but I did all fo the rest. I'd love to enter the giveaway. Always love a good book to read! One time in the Seattle temple I was bowing my head and just thinking, listening to what was being said and I looked up and there sitting next to the first follower(what the ordinance workers are called that sits the closest to the altar) was a spirit dressed in white. she saw me, I saw her and I looked around in awe, trying to see if there was mirrors or if there was someone on the males side, but no one. After just looking at her, she disappeared. He had short dark curly hair, I didn't see a chair, but she must of been sitting down. I don't know why that happened to me. I wasn't asking for anything, just thinking. The First thing that came to my mind when I saw the title of this book was my eldest son. Our first born son passed away at 4 days old. I was a young mother of 19 and it took every once of strength I had to not only live through that experience but also to learn of the blessings that are to come of him going back "home" so soon. I have come to understand that Heavenly Father KNOWS each of us individually and knows what we need to over come our trials, he loves us so much and is there at the ready to succor us in our time of need. Just as Joanna had come to her end and could see no more hope in her life, I came to the same point after my son died and I could not get pregnant again. It was at this, one of the lowest points of my earthly journey that my Heavenly Father gave me a great blessing. I was blessed to have a dream in where a beautiful dark haired, brown eyed little girl came to me. I felt such great comfort and KNEW that she was our little girl. After months of trying, I was finally expecting and knew with out a shadow of a doubt that it was that precious brown eyed little girl. Flash forward to more than 24 years later, we now have our beautiful Daughter about to come home from serving a mission in Phoenix and a son that served in Las Vegas and one sending his papers out this August. All the while I know that they are being watched over by a loving Heavenly Father and a big brother that loves them! I would love a copy of this book! I was inspired by how the Lord showed Nephi what would happen with his family over time- so I asked the Lord to show me how my being a mom today would affect my family in the future. The Lord answers prayers! This is so timely. I would love a copy of this book. I actually received an amazing vision just last week that helped me to overcome a traumatic experience with depression in my past. This sounds like a book that could really help me move forward even stronger. Thanks so much, Heather. I will also like her book page and follow her on facebook. I, too, would love a copy of this book! I've done the first three! I've been pondering my number four : Each time I've gotten pregnant - since baby #3 - has been at the direction of the Lord. Starting at pregnancy #3, different doctors with different pregnancies have told me not to have anymore children, but Heavenly Father continues to tell me that we are not finished having children yet. It's been a life changing process, as I've been pushed to act in faith each time, and learned to trust in my Heavenly Father's plan for my life, my family, and children. I liked her on facebook, followed her pinterest boards, and pinned her book on my boards. I definitely don't have any near death experiences but I had a major answer to prayer (as in should i marry my husband or not) at the funeral of the woman who was the reason we had met. I felt the veil was very thin at that funeral and then when my husband and I were sealed in the temple I felt her presence in the sealing room. Lately I am so inspired by near death experiences. Have you read The Message by Lance Richardson? He's a cousin of my father-in-law. And more recently I have read Stephanie Nielsen's Heaven is Here. That one was absolutely amazing; I highly recommend it! I did the first 3. I had the impression for a year now to stop using birth control, even though we sort of felt "done" having babies. It took about a year to get DH on board, but 2 months now and I feel at peace with whatever happens. This sounds like a very interesting book - I've put it on hold at the library and am excited to get to read it. I was very moved by the second excerpt you shared about the veil and the idea of who we really are without our shortcomings and faults - its really something inspiring for me to work towards - being the best me possible. Thank you for sharing! I began following her blog, and I am already following you... I would really love to win a copy, but I think I'm going to look to picking up a copy regardless... I feel I've already learned a lot from the few quotes you included in your review. I especially liked the one about how familiar the face of God really was. I look forward to finding this book and devouring it myself. Thank you for offering this wonderful giveaway. I have done the first three requests. One of my most profound revelations came in the Temple years ago. My husband and I were together in a session when we BOTH heard the same voice, probably at the same time, telling us he was going to be the next Bishop of our ward! We had not gone seeking any answers to prayers, just a nice time together, serving in the Temple. Needless to say, our conversation on the way home was a bit more lively than usual! And our testimonies of Heavenly Father's tender mercies grew immensely that day! I visited her site and follow her on FB. ps. I saw an article in the Ensign about Abish... did you write that? What a nice site she has. She looks much younger than I expected. I'm glad I came over to your blog today through Diony, whose book I read some time ago. I'm going to put Joanna's book on my list to buy and read on the basis of what you've written here; it sounds wonderful. In my long life I have had amazing spiritual experiences with prayer, personal revelations, especially during the past 26 years I have cared for my disabled daughter. As for my #4, with my last pregnancy I was considered high risk by the doctors. I followed everything that they told me to do. As I drew nearer to the time of birth I got more and more uneasy. I was "randomly" given the name and phone number of a midwife who had been known to take on issues like mine, from a lady I'd never met before and I've never seen this woman since... I didn't think that the midwife would really be able to help me (I was afraid to hope as I didn't want to be disappointed...), but I held onto her number for weeks, carrying it around in my pants pocket every day... One day, after a hospital tour that ended with me in tears because I KNEW I wasn't supposed to birth there, I was told by the Lord to just call this midwife. (I think He was a little exasperated with me. lol) I was having a hard time believing that she could do anything for me, but the impression to call her was so strong that I did it, all the while hoping that she wouldn't answer so that I wouldn't have to be disappointed by her telling me she was unable to help me. (I was being obedient, but not believing...) She didn't answer and I was relieved. I thought to myself, "I did what the Lord wanted me to do, and that's all I can do. Thank goodness I didn't have to deal with the disappointment." but before I could even finish that thought to myself, my phone rang. It was the midwife. She had been in the middle of boarding an airplane and couldn't answer, but she called me right back via caller ID as I'd not left a message. It turns out that she WAS able to help me (surprise, surprise lol) and I was able to safely have a home birth free of the medication and procedures that I felt the Lord telling me were, and would have been, so harmful to my baby and I.
I've subscribed to Joanna's email updates. There is a 4 year age gap between babies #1 & 2, and it was really hard for me to not be getting pregnant month after month. 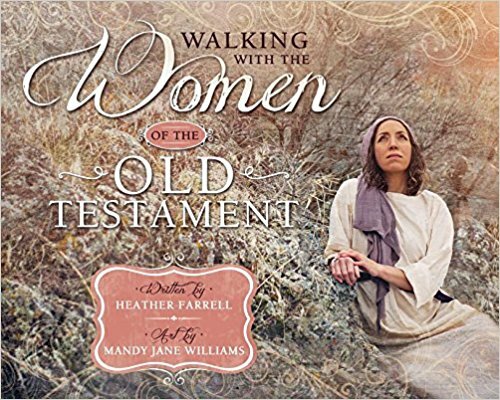 I had a very vivid dream (after much prayer) about my unborn daughter, and I was told that she was not ready to be born because she was not ready to leave my MIL, who had passed away a few years before. I just bought this book in Kindle form, which was less than £2 on Amazon.co.uk! !